Recently MapleStory added a new role to game, and it is a very popular blaze wizard before, and the official team add this character will attract more MapleStory players to download this game, and you can download IOS and Android version of MapleStory now. Then let's take a closer look at this new role. Blaze Wizard has long been one of the stars of Nexon’s MMORPG, MapleStory. As the leading magician of Cygnus Knight, her magical powers, use of fire and all round awesomeness has made her one of most revered characters in the game’s thirteen year history. And now the popular pyromaniac is the tenth character to make the move to the mobile version of the game, Pocket MapleStory. Blaze Wizard is included in the latest update for the game from Nexon which is available to download now on Android and iOS devices. Although the PC original remains the definitive place to play, the Pocket edition is rapidly making a name for itself with an impressive MMORPG experience that features more more than 1,500 quests and real-time online multiplayer. Do you like it after knowing the function of the new wizard, I think it is funny and cute, I want to download the Pocket MapleStory now, and it is available to download in English version, but do not worry if English is not your language, other language versions should be launched next. And you can download it on Google Play or IOS App Store. 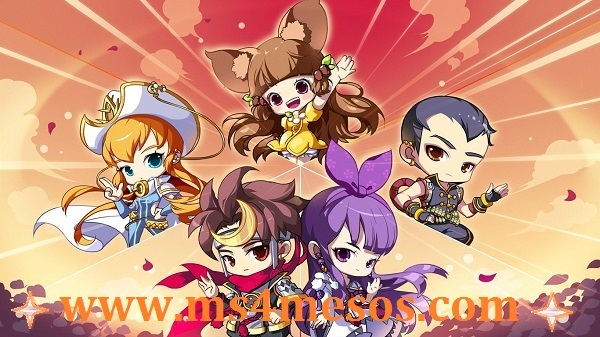 See more MapleStory News or if you want to buy cheap MapleStory Mesos, you can follow www.ms4mesos.com, you can get fast delivery on the site.